A building on No. 63 Massey Street, Ita Faaji area of Lagos Island has collapsed on Wednesday killing atleast 10 persons, including 4 students, and leaving scores injured. Rescue equipment from the Lagos State Emergency Management Agency had been deployed to the site. 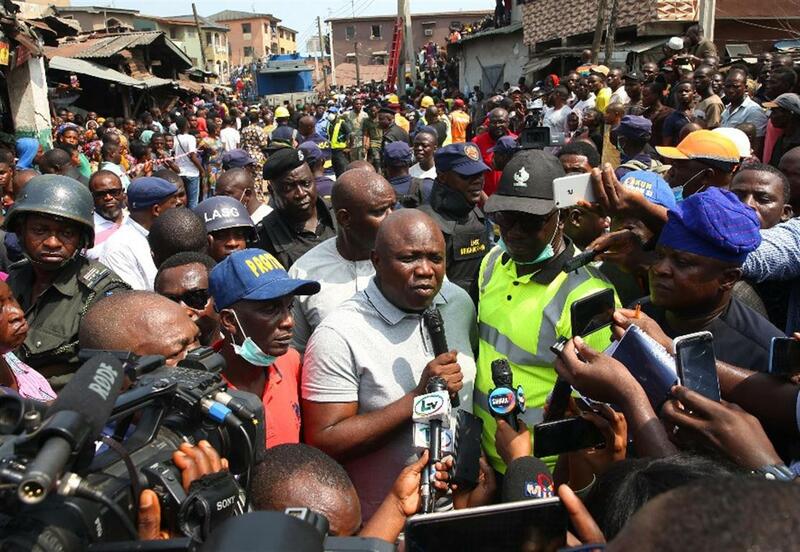 Lagos State Government has disclosed that the collapsed three-storey building on Massey Street caved in due to addition of more structures on existing building. The State Government added that the building, which was marked as distressed in 2017, experienced foundation failure when the bearing capacity of the soil could not sustain the added structures on the building. General Manager, Lagos State Building Control Agency (LASBCA) Olalekan Shodeinde, Wednesday, disclosed that occupants of the building had been evacuated two years ago. Shodeinde hinted that but few months ago, the recalcitrant owner renovated the building, added more structures and let it out without carrying out thorough engineering appraisal and integrity test on the structure.